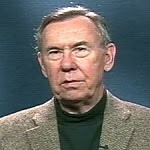 In a New York Times article that has provoked international notice, Gary Sick wrote on April 15 that he had long been skeptical about the notion that Ronald Reagan's 1980 campaign managers had cut a deal with the Iranian authorities to keep American hostages in Tehran until after the election. In return, the story went, the Israeli government delivered arms to the Iranians at the behest of the new Reagan administration. Gary Sick made a major error on the subject about which he is the world expert: his own mind. Much of the power of Mr. Sick's piece, to which the New York Times devoted two-thirds of its op-ed page, derived from the fact that the author had only recently, and reluctantly, been forced to give credence to these stories. Mr. Sick's precise words bear quoting: "I first heard these rumors in 1981 and I dismissed them as fanciful. I again heard them during the 1988 election campaign, and I again refused to believe them. I had worked in and around the Middle East long enough to be skeptical of the conspiracy theories that abound in the region." It was only after compiling a massive computerized data base that he began to notice the "curious pattern" of events that led him to go public with his concerns. At first I dismissed this, but not any more. I'm convinced on the basis of what I heard that there were some meetings in Paris. I know that the Iranians changed their policy at that time. There is something here. I just don't know how much. . . . I have always been puzzled at why the Reagan administration gave a complete green light to Israel (to deliver arms to Iran) immediately after they took office. These people despised the ayatollah, but they let Israel go ahead with deliveries. I would certainly have to take account of this stuff if I was writing my book over again. Mr. Sick, the principal Carter aide for Iran during the hostage crisis, author of All Fall Down, a highly regarded book on the hostage crisis, and now an adjunct professor at Columbia, seems to have made a major error on the subject about which he is the world expert: his own mind. It could be a simple mistake; but it could also have to do with the recognition that the convert has more impact than he who is to the faith born. Simply put, had Mr. Sick acknowledged a years-long belief in Republican plotting, his account would have had far less impact. All of this makes a difference because it is Gary Sick's stature that moved speculations about a Reagan campaign conspiracy from the fringe to the mainstream. Indeed, the subcommittee chairmen of the House Foreign Affairs Committee are scheduled to meet with Mr. Sick today, beginning a process that might lead to a full-scale investigation, by Congress or by a special prosecutor, or by both. But the flaws in Mr. Sick's account of his own thoughts raise serious doubts about his credibility. Given the vast array of issues facing Congress, the representatives would do well to let this one drift back to the fringe where it belongs. "Gary Sick's Same Old Song." My original reply to the Sick's 1991 oped. "Review of October Surprise: America's Hostages in Iran and the Election of Ronald Reagan." Sick's preposterous oped metastasized into a preposterous book, published in 1991 and reviewed in 1992. "The October Surprise Theory." An encyclopedia entry on this sorry affair, dating to 2003. "Further on the October Surprise Conspiracy Theory." A weblog entry started in 2004 that deals with loose ends. July 16, 2012 update: The following is unrelated to the "October surprise" theory but indicates who Gary Sick is: Michael Rubin reports that in conjunction with research for a forthcoming book, he learned from former Carter-administration officials that what caused the occupiers who seized the U.S. Embassy in Tehran on Nov. 4, 1979 to extend their takeover from a few hours to many months was that Sick, then the Iran director on the National Security Council, "leaked to the Boston Globe that Carter had removed military options from the table. When the captors read that revelation, they transformed a 48-hour action into one that lasted 444 days."